Free local delivery to select locations! Click here for details. "Working together we harvest solar energy with grass grown on healthy soil to sustainably produce delightful food that nourishes people and strengthens our community." Pasture’s Delights herdshare program is a contract between the farm and you that allows you to buy a “share” or portion of the cow herd and be entitled to a percentage of what the herd produces. While it’s illegal in the state of Indiana to sell raw milk to the public, it’s permissible for you to obtain raw milk through purchase of a cow in a herdshare program. Participation in the program is two-fold. First, there is a one-time purchase to buy your herdshare. Each herdshare entitles you to one gallon per week. * Next, you pay Pasture’s Delights on a monthly basis to board and care for your share of the herd and to collect, bottle, and deliver your milk locally. For a monthly price that equates to less than $1 a day, on par with the average price of organic milk from the store, you’ll get your own weekly gallon of fresh, local, unpasteurized, unhomogenized milk that supports your health, your community, and your planet. Because of the laws in Indiana, the purchase of a herdshare is a little more involved than buying a gallon of milk from the store. You will need to sign two contracts: a Bill of Sale for your share of the Pasture's Delights herd and a boarding agreement (Bovine Agistment Agreement) that outlines Pasture's Delights commitment to taking care of your herd. If you are comfortable with the contract terms, you'll need to return the completed forms, along with your payment, to get your first share of milk. *Although we can't give you a 100-percent guarantee for how much milk the herd will produce, we try our best to manage the herd so it produces enough for one gallon per herdshare. This is the amount you can expect to get 99-percent of the time. Some want to ban all access to raw milk in Indiana, though tens of thousands in our state drink it. 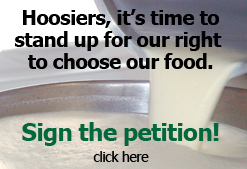 No matter your opinion on raw milk, tell the government you support the right of all Hoosiers to choose what they eat.Click here to sign the petition. Yes, cows can tweet too! 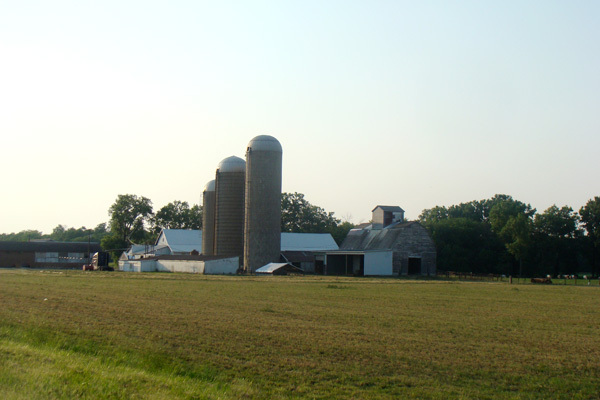 Follow us on Twitter, YouTube, or Facebook for news about the farm, raw milk recipes, and healthy living events in Indiana. Like us and comment on our page. We’d love to hear from you! Copyright Pasture's Delights. All Rights Reserved. eCommerce Software by 3dcart.